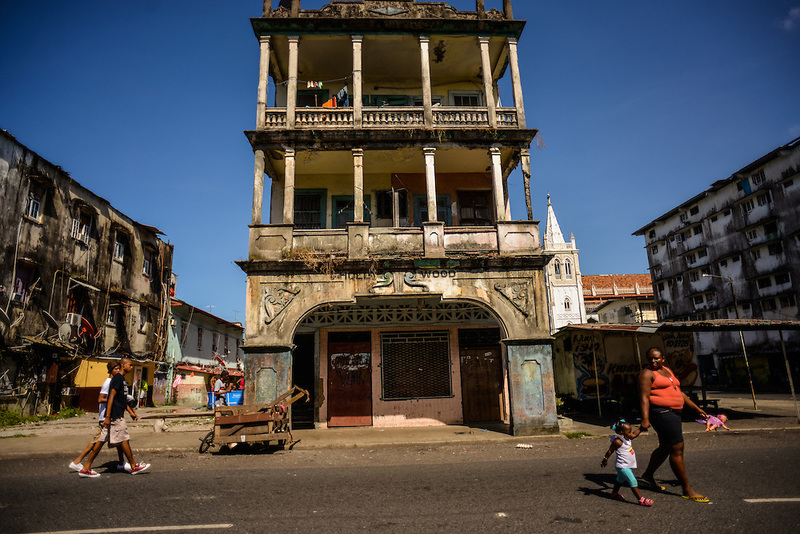 Crumbling buildings line the streets of Colón. Despite being the second largest city in Panama, Colón is one of the poorest in the region, and its residents suffer from a critical shortage of potable water, sewer connections and housing--many people live in condemned or should be condemned buildings. Panama is now one of the fastest growing countries in Latin America and there is a growing resentment and impatience that Colon has not reaped as much of the benefit as Panama City.